“Yes We Can” has been her catch phrase and slogan, and she does not disappoint those who believe they can. 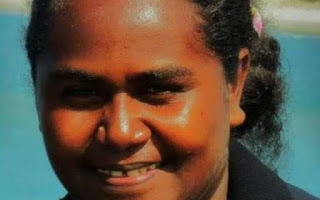 Wife of former and legally ousted Solomon Islands MP for the Gizo Kolombangara Consituency Lanelle Tanangada has risen above all odds and created history in the constituency today, after she was declared the new MP for the constituency. Despite vigorous campaigning by his male counter-parts in the likes of former Prime Minister Gordon Darcy Lilo, Tanangada continued to bank on the increasing number of those who believe that they can. She’s the newly voted MP for Gizo Kolombangara constituency who polled a total of 2580 votes. Tanangada is a teacher who studied at Pacific Adventist University in Papua New Guinea and later earned her Masters in New Zealand’s Waikato University. She taught in various schools in the country before stepping up to enter politics, a successful first attempt. Her husband Jimson Tanangada lost the seat recently in an election petition taken up by former Prime Minister and one of the contenders in the by-election Gordon Darcy Lilo. Over 5000 voters’ casted ballots in the more than 6000 registered voter constituency.